By 2020, there are one billion of cameras being set up around the world, in the same time 30 billions of images being transmitted from edge to the cloud per second. Developers keep looking for the solutions of high edge computing performance with new communication technologies for high-capacity data analysis and transmission. 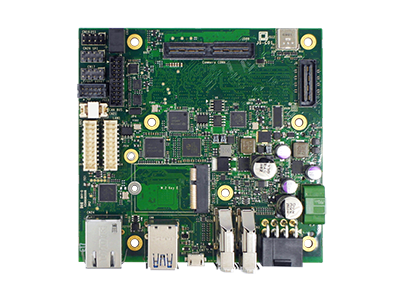 As the result, Aetina provides Nvidia Jetson AGX Xavier carrier board AX710, which fully supports not only 10G LAN card (by extension connector) and 4K camera but also M.2 device and USB type C interface. 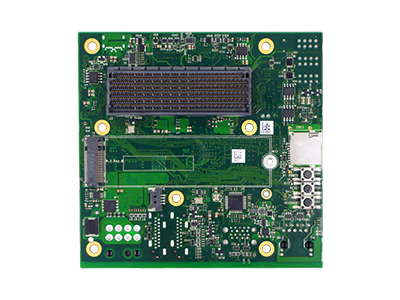 AX710 is a multiple-function supported carrier board, that compliant with Nvidia Jetson AGX Xavier, and designed with PCIe x8 interface extension slot specifically for 10G LAN card and M.2/ mPCIe device. Through extension 10G LAN card, edge computing platform can transmit the inference results to the cloud with low latency time. This real-time communication allows the system owner making the immediate decision accurately. In the meanwhile, developers can rely on the 60pins extension slot to rich system’s adaptability flexibly and quickly. Additionally, AX710 supports up to 4x 4K cameras. Depends on the resolution demands, developers can choose the suitable camera module in their project and optimize the VID accuracy with high-resolution image. 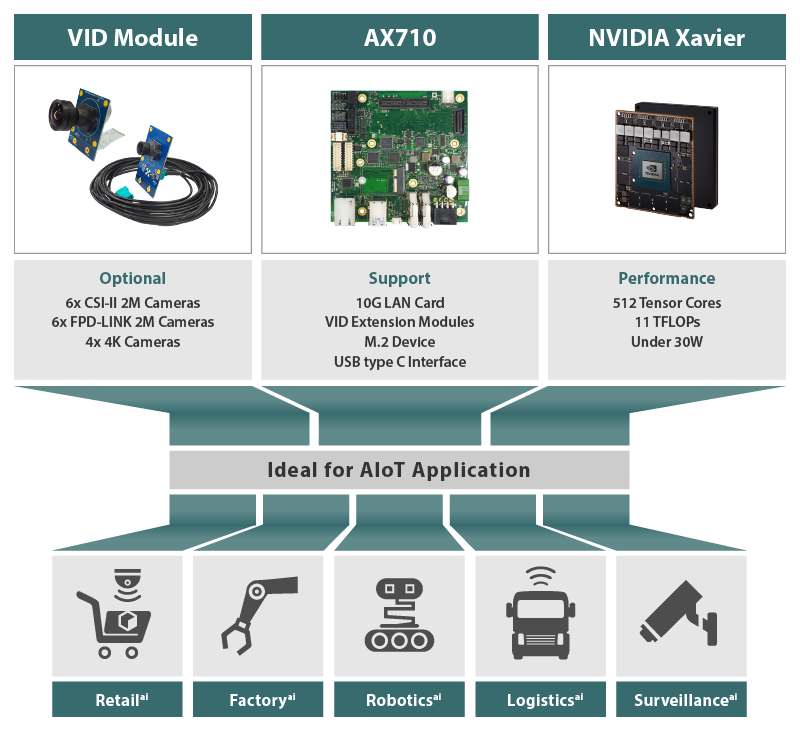 Through our driver-ready VID extension modules, AX710 with Nvidia Jetson AGX Xavier as an edge computing platform become the most powerful solution for machine-vision applications in smart retail, smart robotics, intelligent logistics, automation factory and smart surveillance. 2x HDMI, 3x GbE, 3x USB3.1, 1x M.2 M Key, 1x M.2 E Key, 2x CAN BUS, etc. Copyright @ 2016~2019 Aetina Corporation. All rights reserved.